Under Malawi law, there are no timelines regarding disposition of remains and there is no time limit before the remains can be prepared for burial or shipment. Generally, an autopsy is available upon request if the death does not occur in a hospital. Please reference the “Disposition of Remains” PDF for any questions that are not answered below or for contact information. A death report from the local district hospital is required for burial in Malawi or transport of the remains. A death certificate must be obtained by the National Registration Bureau (NRB). A local funeral agent should be contacted as soon as possible and given the death certificate. The agent can provide guidance and can prepare the necessary documents. The Consular Section will also prepare an official report of the death that can be used to settle the estate. 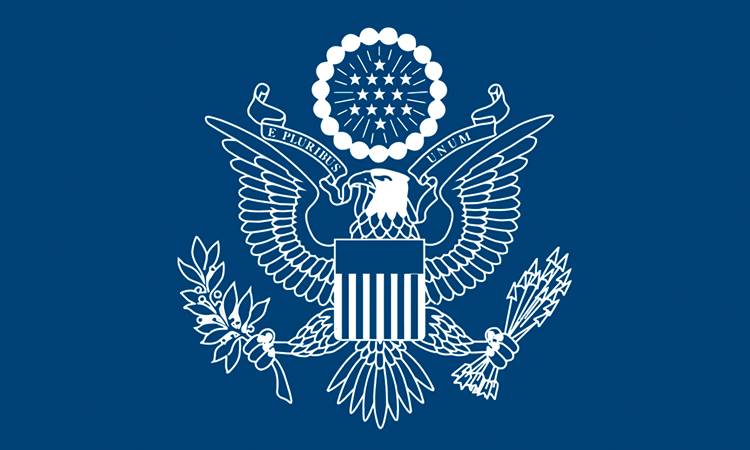 The consular “Report of Death of an American Citizen Abroad” is a report that provides the essential facts concerning the death of a U.S. citizen, disposition of remains, and custody of the personal effects of a deceased citizen. This form is generally used in legal proceedings in the United States in lieu of the foreign death certificate. The Report of Death is based on the foreign death certificate, and cannot be completed until the foreign death certificate has been issued. This can sometimes take from four to six weeks or longer after the date of the death, depending on how long it takes local authorities to complete the local form. U.S. Embassies and Consulates work with local authorities to see that this time is as short as possible. The U.S. consular officer will send the family up to 20 certified copies of the Report of Death at the time the initial report is issued. These are provided at no fee. If additional copies are needed, each copy requires a $50 fee. More information about obtaining extra copies can be found at the State Department’s Request a Copy of a Consular Report of Death Abroad (CRDA) website. In order to obtain the required documents and assist with burial and transport, the funeral agent must have the death and identity information of the deceased. Under ideal circumstances burial locally can take place within 24 hours, however, it generally takes 4 to 7 days to arrange shipment outside of Malawi. Malawi law does not regulate a maximum period before burial. The Malawian norm is to bury the body the same day if possible. Cold storage facilities are provided at all 24 Government secondary level care (District) hospitals and the four central hospitals: Lilongwe Central Hospital in Lilongwe, Queen Elizabeth Central Hospital in Blantyre, Mzuzu Central Hospital in Mzuzu, and Zomba Central Hospital in Zomba. The storage capacity for all the Central Hospitals is 50 bodies, while the cold rooms at the District Hospital mortuaries usually accommodate about 20 bodies. The maximum amount of time the hospitals can store a body is 30 days. After one month, bodies still unidentified in the mortuaries are referred to the District or City Assemblies for disposal in mass graves in Government cemeteries. This is done in conjunction with the Malawi Police. Malawi law does not regulate embalming. In most cases bodies are not embalmed. There are two formally trained embalmers/pathologists in Malawi, Dr. Charles Dzamalala and Dr. Steve Kamiza. They are both located in Blantyre, but will travel and assist death cases. Please refer to the “Disposition of Remains” PDF for further information and for their contact information. The Hindu Cremation Services handle cremation in Malawi. They are located in Lilongwe and in Blantyre. They require a death report (certified copies will do), a consent letter for cremation that is verified by the family, and a fee (see costs in Section 6). Ashes are ready for collection after 72 hours. Crematorium staff may also be able to assist with the logistics of shipping the remains for an additional fee. Location and contact information for the Hindu Cremation Services can be found on the “Disposition of Remains” PDF. When remains are to be transported out of the country, the body is first embalmed or otherwise appropriately prepared or cremated for shipment. It is then placed in a galvanized tin coffin or casket (or urn in the case of cremation) for shipment. This is then placed within a wooden coffin, which is finally placed in a suitable packing case that can support the weight of the complete container and body. Caskets and urns that meet the requirements for shipping out of the country are available locally. Death certificate issued by the National Registrations Bureau (NRB). Death report signed by a registered medical doctor on form B of the Births and Registration Act. Medical report from the Ministry of Health and Population stating the cause of death, the body is free of infectious disease, and that the body can be transported outside the country. Embalming certificate to include statement of method used. Malawi Customs form 35-Declaration form for minor exports. Declaration Certificate stating that the contents of coffin/casket are only human remains of deceased person. Postmortem report if death was due to unnatural causes. Coffin with metal lining inside. Death certificate from National Registrations Bureau (NRB). Remains are packed in tin lined wooden packing box (the Urn) that is hermitically sealed. The pathologists listed in Part IV can facilitate the navigation of mortuary services. Prices are not regulated, but you can expect to pay approximately $8,000 for an autopsy, embalming, paperwork, transport, and aircraft charges. Additional charges may apply if the death occurs outside of Lilongwe, due to extra storage and transportation fees to bring the body to Lilongwe. Preparation of Remains and Shipment to the U.S.
Prices for post-mortem services are not regulated or consistent. Approximate figures are below and based on recent costs of mortuary services. It is most likely that you will be asked to pay a lump sum for a suite of services that will include everything needed to transport the body to the United States. Fees marked with a single asterisk* may vary greatly depending on the location of the death. This will affect transport time and distance, storage time, and any necessary accommodations. Embalming fees marked with a double asterisk** represent standard fees. If the body was exhumed, there may be additional fees for the embalming process. Freight charges marked with a triple asterisk*** are explained in greater detail on the following tab. ***Prices to transport a body to various U.S. cities are not published. On average, freight charges to the U.S. are around MK 2,000,000 ($2700). Transport to the east coast is significantly less than transport to the west coast because flying beyond the east coast requires additional airline transfers. The price difference, although not published, is approximately MK500,000 ($6,700). Autopsies are performed only by the pathology section of government hospitals (e.g. Kamuzu Central and Queen Elizabeth Central) and Malawi College of Medicine. Hospital records and death notice from village chief (if death occurs in rural area) are required documents. Autopsies are typically required when a foreign natural dies of unnatural causes. A waiver may be available. Malawian funerals traditionally occur no more than three days after the death. In rare circumstances the burial might be up to one week later (e.g. if close family is out of the country). People traditionally go to see the body and pay their respects before he/she is buried. Bodies are buried either in the city’s cemetery or in the local village. Before death, the deceased might have requested to be buried near family or to be brought back to his/her home village. If such a request was made, the family typically obliges. Mourners visit the body and contribute food or cash to neighbors. The neighbors traditionally prepare fresh meals at the site where people gather to pay their respects (i.e. they do not cook ahead of time and bring the prepared food). In order for the American Embassy or Consulate to issue an official death certificate or assist in the export of the remains to the U.S., the next of kin must provide the following death questionnaire (PDF 13 KB). This questionnaire must be returned to the American Citizen Services section of the appropriate U.S. Embassy or Consulate. Mailing address and fax numbers are available on the “Contact Information” webpage.